Hair does not make a person beautiful. – T.D.G. Home RandomHair does not make a person beautiful. Posted on February 3, 2018 February 3, 2018 by Tom G.
When i was younger and going out to clubs i would worry about my hair. I know that as a guy it does not matter so much if even i have hair or not. It is probably not same for a woman though. How did hair become such a big factor in peoples lives? This video proves imo that even with out hair a woman can be even more beautiful with out it! 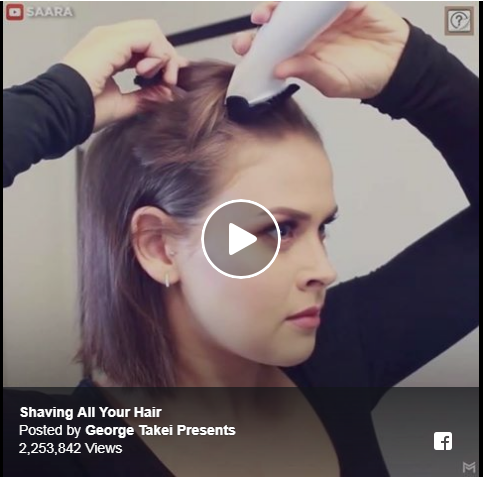 I do know they can save a lot of time getting ready to go out or to work…lol Watch this brave woman hut her hair off and how she reacts to it! Will she regret it? Will it be an awesome experience for her? Comment below if you have an opinion. It is easy. Previous Previous post: He nails every accent! Next Next post: Poor Little Sloth!